Neither Gouda, nor Edam, but still a trademark of the Netherlands. 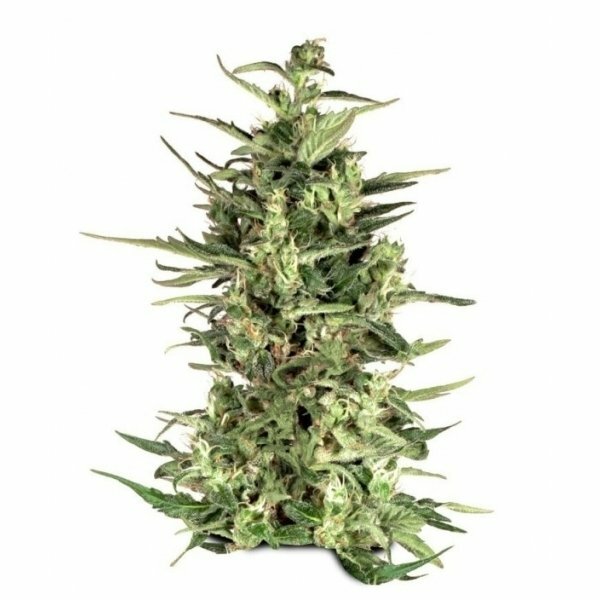 Dutch Cheese from Dutch Passion is purely a top quality cannabis strain, that combines the genetics of the original Cheese variety with Dutch Passion's Euforia, creating a powerful, enjoyable hybrid. The original Cheese, first developed by the British breeders, was a big bud Skunk strain with a typical, cheesy smell. Dutch Passion was long looking for a best mate for Cheese, and after many trials they did just that. In Dutch Passion's Euforia, Cheese found a perfect match, creating a stable 60/40 Sativa/Indica hybrid that kept all of the original Cheese cheek, but stronger and better yielding. The plant takes approximately 8 to 9 weeks to bloom, while reaching a modest size of no more than 80 cm. Mind that growing feminized Dutch Passion's Dutch Cheese - as with an Skunk related strain - it is absolutely necessary to use a well functioning smell absorption system, as the flowering plant produces a very strong odor. With up to 15% of THC and an intense, potent high, Dutch Cheese by Dutch Passion is best enjoyed by marijuana connoisseurs with quite some experience in smoking weed.